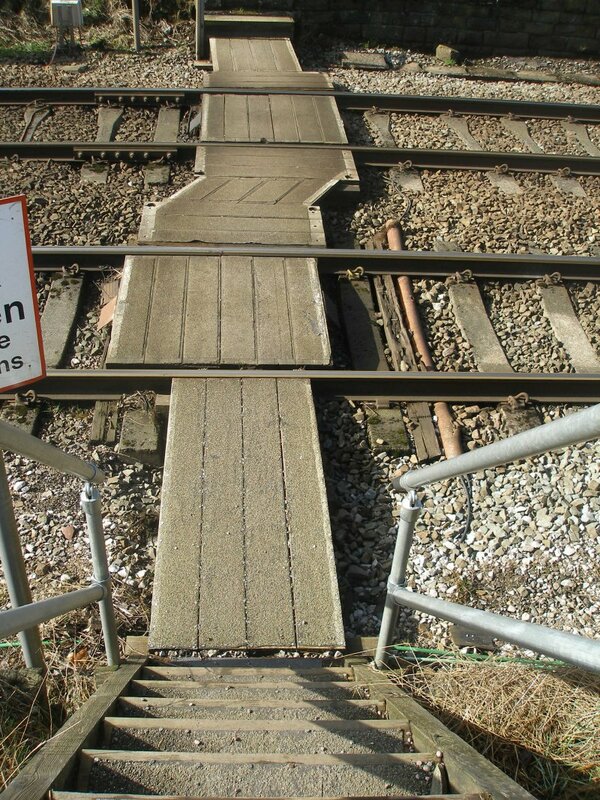 There is a gap in the Network Rail Managed Bridge List, such that the location of Bridge 94 had eluded me. I am grateful to Barry Steventon of the L&YRS for identifying it. 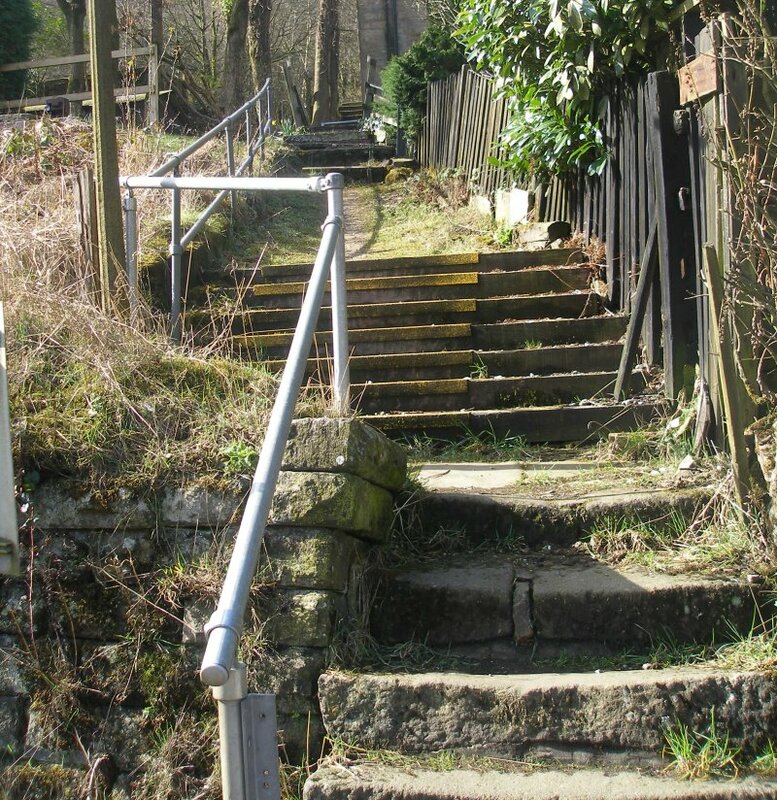 The steps leading up from the foot crossing towards the road cross the Walsden Brook about two thirds of the way up the bank, and the railings for it can be seen at the top of the photograph below. This is Bridge 94! 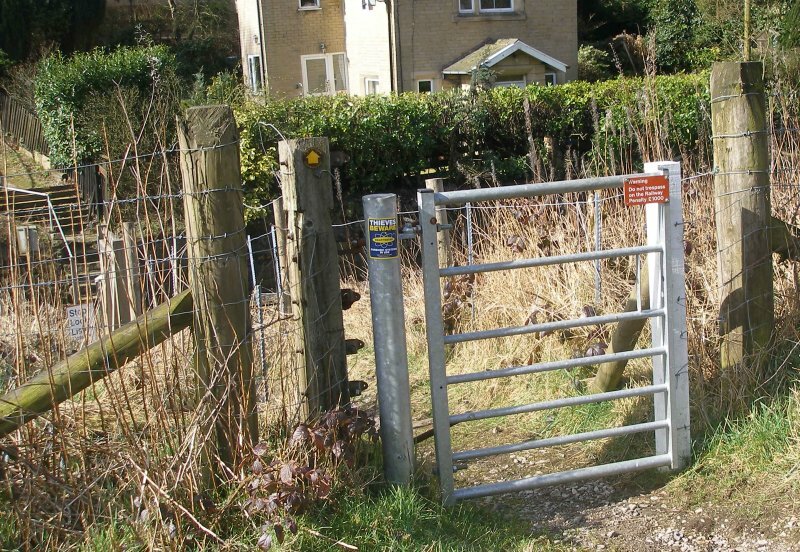 Barry notes that it is described as 'Sun Footbridge', and consists of stone piers, timber beams and top, with a span 19 feet and a width of 3 feet. 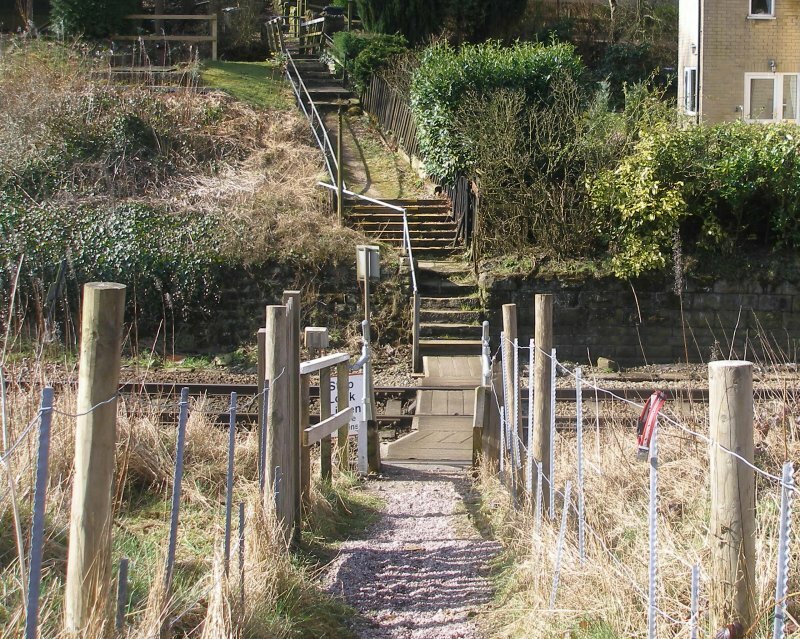 The photo below is also of interest in that it shows the site of the first 'Summit Tunnel East' signal cabin, which was to the left on the first flight of steps, with access obtained from a platform which bridged the gap from the cabin operating floor with the top of the first short flight of steps. 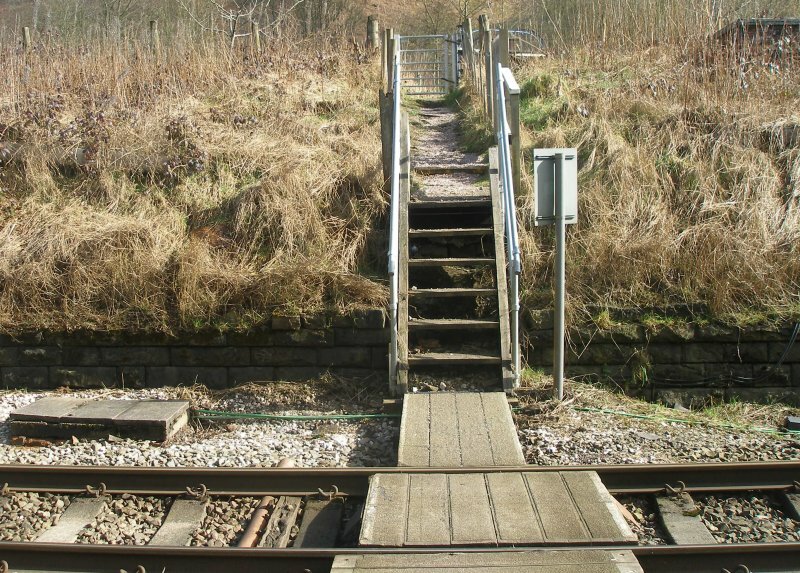 The second box was located to the left of the first in a specially constructed recess, and the signalman could see the crossing from the cabin. 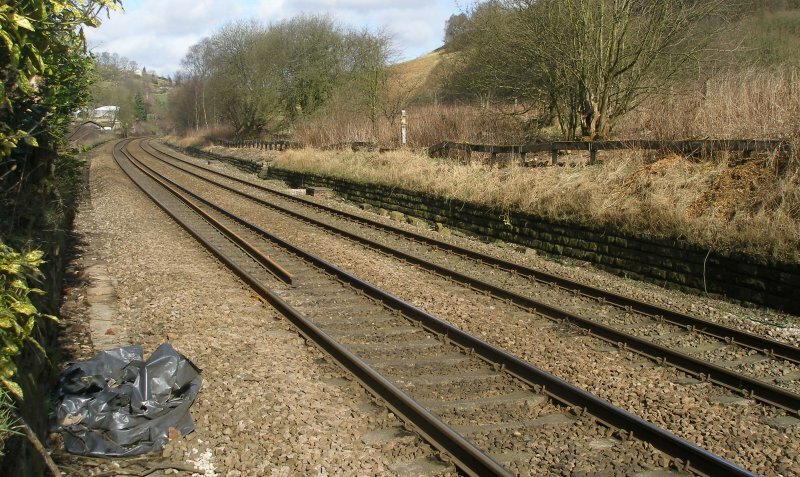 Chris Littleworth's signal box diagram shows that a trailing cross-over also existed here, which would have facilitated wrong-line working through the tunnel. Chris Littleworth's Summit East signal cabin diagram shows the layout as it existed in September 1955. 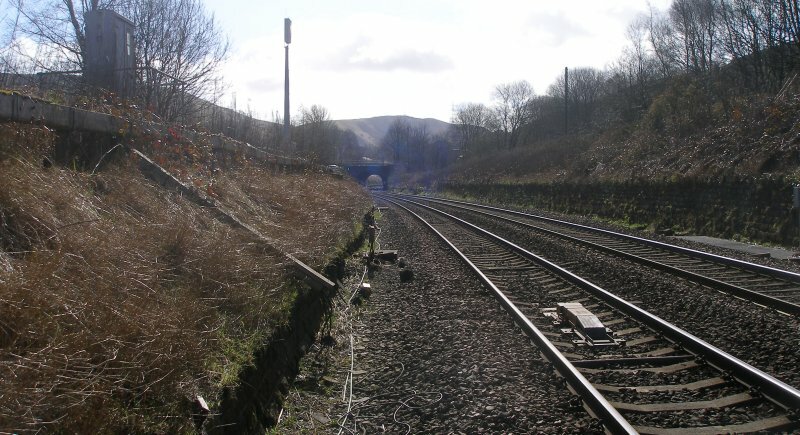 Note the dwarf distant signal in Summit East tunnel.